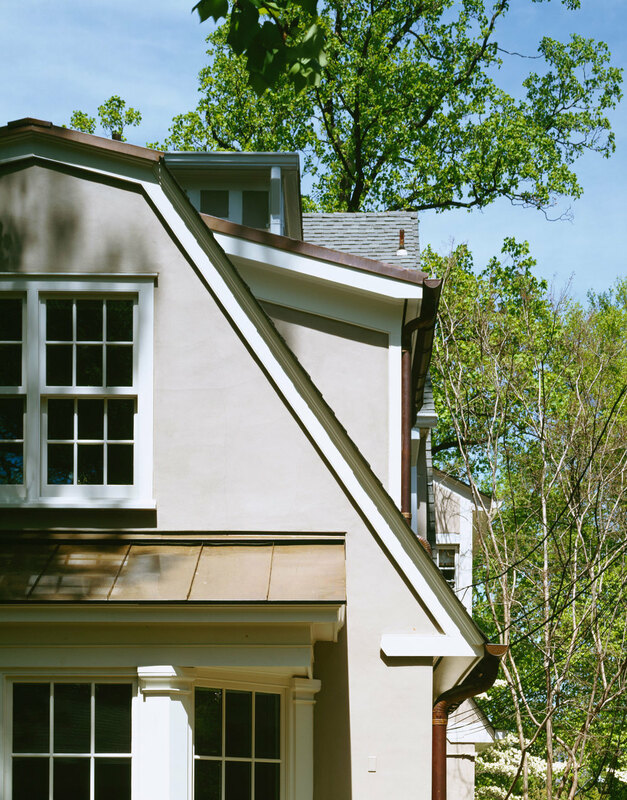 This small structure is an addition to an existing house in the historic Cleveland Park area of Washington DC. 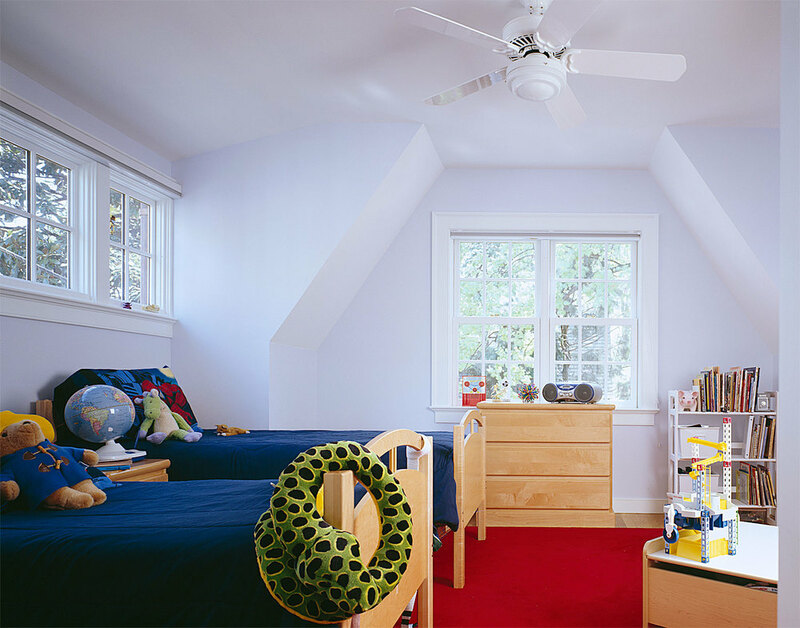 The gambrel roof reduces the height and scale of the addition and avoids blocking existing third floor windows. Columns between the new kitchen and family room conceal existing plumbing. A new child's bedroom was added to the second floor.